Art is intrinsic to Greek culture and tradition. And Herakleidon Art museum successfully exhibits this nerve of the city and Greece as a nation. Although built in a small private gallery, this museum showcases a huge range of art works by artists who have contributed significantly in the evolution of art. The sketches, drawings, photographs and personal items have also been kept here to offer a consummate perception of the work by artists. 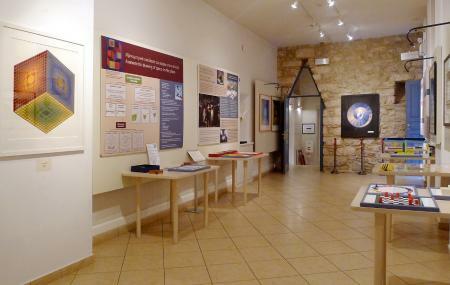 This museum also helps you out with its audiovisual and other aids that will provide narratives on the life of the artist, each phase of his or her work, and his or her techniques that have shaped up a particular piece of art. For those who are looking for something more here, the museum hosts musical performances, literary events, book presentations, scientific and other seminars, corporate presentations, conferences, and lectures. At last, do take out some time to marvel at the museum’s neoclassical mansion. How popular is Herakleidon Art Museum? People normally club together Athens Olympic Stadium and Eleusinion while planning their visit to Herakleidon Art Museum. Interesting exhibitions and events in the heart of Athens. A small but interesting museum. Worths a 2h visit. Ideal for kids. They also have workshops for kids every weekend.